Wish your uncle a happy birthday with the humorous greeting card from paperlink's froot loop range. 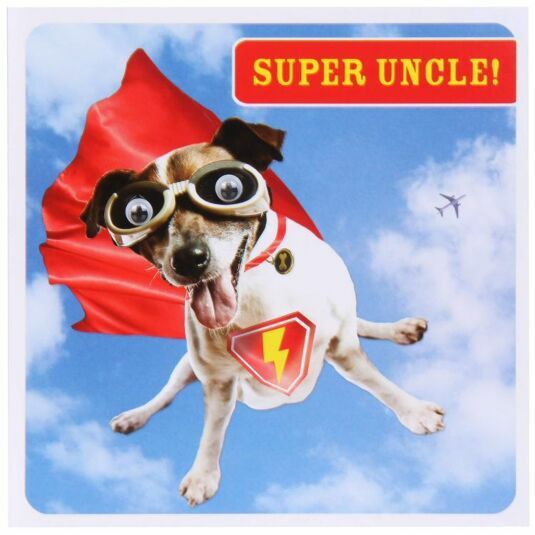 Featuring a super hero dog with googly eyes, the text on the front of the card reads "SUPER UNCLE!" The inside of the card reads "Happy Birthday!" with plenty of space for your own personal message. The card comes complete with a white envelope.